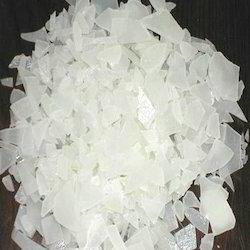 We have grown as a reputed manufacturer of diverse range of Industrial Chemicals such as cleaning chemicals, industrial cleaning chemicals, textile cleaning chemicals, magnesium carbonate, magnesium oxide, aluminum sulphate (non-ferric), ferrous sulphate, calcium hydroxide/ hydrated lime and nexobleech – rubber chemicals. Formulated using quality ingredients, our range find a wide application in construction, electrical, pharmaceutical industries. It is also used in medical sector and waste water treatment plant. Our industrial chemicals are appreciated for precise composition and purity. We offer Light Magnesium Carbonate, which is widely used in cosmetic applications like talcum powder, soap preparation as it gives moisture stability, retain fragrance and control flow. Our range of Chemical Powder is also used in pharmaceutical preparations as an antacid and as an additive in table salt to keep it free-flowing. We provide Magnesium Carbonate (MgCO3) that is white solid, occurs in nature as a mineral. Different hydrated and basic forms of magnesium carbonate exist as minerals and are also known for a variety of uses. In order to produce magnesium metal and basic refractory bricks, the magnesite and dolomite minerals are widely used. Precisely formulated, our range of magnesium carbonate has wide usage. It is used as a filler material, smoke suppressant in plastics and a drying agent, a laxative to loosen the bowels, and color retention in foods. Further, the pure range of magnesium carbonate is used as an antacid and as an additive in table salt to keep it free-flowing. Our Magnesium Oxide or magnesia is a white solid mineral, which occurs naturally as periclase and is a source of magnesium. Prepared using finest ingredients, our range finds a wide application in electrical, cement and construction industries. It has an empirical formula of MgO and is also used in medical sector. MgO is effective moisture absorbent that is used by many libraries for preserving books. The magnesium oxide is also used as raw material for making cement in dry process plants, primarily Portland cement. Addition of more quantity of MgO makes the cement expansive. To provide relief from heartburn and sore stomach, the magnesium oxide is extensively used as an antacid, magnesium supplement, and as a short-term laxative. Our range is also used to improve the symptoms of indigestion. It also has some side effects like nausea and cramping. Precise quantity of MgO is used to give laxative effect but on long term use, it may cause enteroliths,subsequently bowel obstruction. 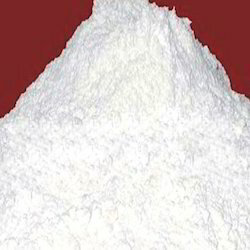 Widely demanded by various industries, Boric Acid Powder is offered in various packaging options. Our range is appreciated for its accurate composition and precise pH value by the clients. In order to suit the budgetary constraints of the clients, we offer our range at reasonable rates. Limestone powder or calcium carbonate fine powder. 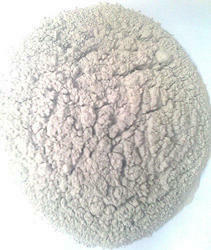 We are the supplier of the Limestone Powder. Packaging Details: Jumbo bags of 1 Mts each. 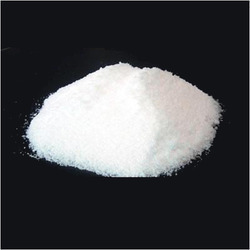 We export Aluminum Sulphate Non Ferric Al2 (SO4)3 or Al2O12S3 Aluminum sulfate, which is an industrial chemical used as a flocculating agent in the purification of drinking water and wastewater treatment plants. Our range is also used for manufacturing paper and is also used as mordant in dyeing and printing textiles. During water purification, it causes impurities to coagulate that are removed when the particulate settles to the bottom of the container or more easily filtered. This process is known as coagulation or flocculation. 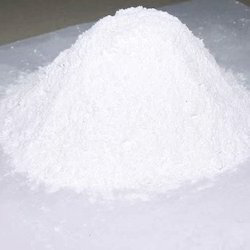 We offer Calcium Hydroxide Hydrated Lime, which is a colorless crystal or white powder substance. It is obtained when calcium oxide (called lime or quicklime) is mixed, or "slaked" with water. The calcium hydroxide can be precipitated by mixing an aqueous solution of calcium chloride and an aqueous solution of sodium hydroxide. It is comparatively rare mineral, known from some volcanic, plutonic, and metamorphic rocks. Calcium hydroxide has also been widely known to arise in burning coal dumps. We supply Magnesium Sulphate Heptahydrate MgSO4·7H2O that is a chemical compound containing magnesium, sulphur in soluble form. Magnesium in Agriculture: The magnesium sulphate heptahydrate is largely used in agriculture as a secondary nutrient for giving chlorophyll effect to the plant. Magnesium in Cattle feed: Magnesium Sulphate acts as laxative in the animal feed industry. 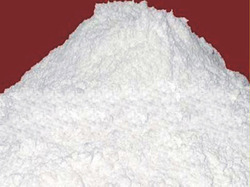 Magnesium in Industries: Magnesium Sulphate is also used in various other industrial applications namely Textile, Detergents, Paper, Ceramica, Refractories, Polymers etc. Magnesium in Cosmetics: Magnesium Sulphate is also popularly known as Epsom Salt in European and Western Countries and traditionally used as a component of that effectively makes the body more buoyant. 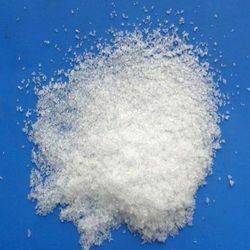 Magnesium sulfate heptahydrate is also used to maintain the magnesium concentration in marine aquaria that contain a large number of stony corals as it is slowly depleted in their calcification process. Packaging Details: We can supply the product in any packing size and type. 1kg, 5kg, 10kg, 25kg, 50kg, 1000kg and 1200kg.